I paid for a driver to collect us from the train Stn and take us direct to the apartments. I liked that it was extremely clean. The view was great and the property had an elevator which was very helpful. The bed and pull out couch was very comfortable. The thick comforter was very nice to sleep in. Absolutely loved the location - so close to everything we wanted to do. An easy Uber ride to places out of the city and a short walk to Notre-Dame and the Metro. The rooms were spacious and neutrally decorated. The beds were very comfortable with quality linens and towels. The views are stunning - even the Eiffel was visible at night! Wonderful location. Great service. Amazing apartment. We would love to rent this place again. Property was as advertised. The location was excellent as this was our 4th trip to Paris and we knew exactly where we wanted to stay. Monoprix (grocery store) is 2 blocks away, the lift was small but its Paris and that is considered a luxury. We were on the 5th floor and had a double wide stroller as well so that came in handy. 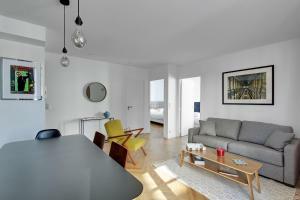 The apartment or flat was clean and provided plenty of space for 2 adults and 2 kids (3 and 5 yrs old). They slept on the pull out couch and we were able to close the doors and blinds to separate kids room if they went to bed early. We chose the pickup option from the train station and our driver provided us the keys to check in and was there as scheduled with a Mercedes van. Pickup to airport was on time as well. Overall, the location is perfect, the elevator is great, the apartment was quiet and provided all we needed for a 5 day stay. Good location, relatively quiet surroundings. Nice flat, full of light. Kitchen equipped. Great location, and perfect space for a family with two kids. Location was excellent. The apartment was modern and very clean. It was stock with everything we needed for a family of 6. 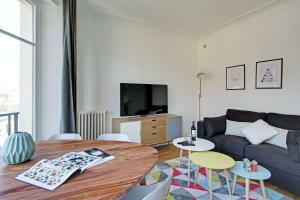 The apartment is in a great location within easy walking distance to Notre Dame, Metro and RER. Good fresh food and cafes all around. Comfortable for families and has a lift. Gives a nice feeling of 'living' in Paris. Key person very pleasant and punctual. The view was fantastic! Location was great. We could walk to everything. Notre Dame was only 5-10 minutes away. The Cluny Museum was practically across the street. There is a terrific restaurant, Le Pre Verre, half a block away! 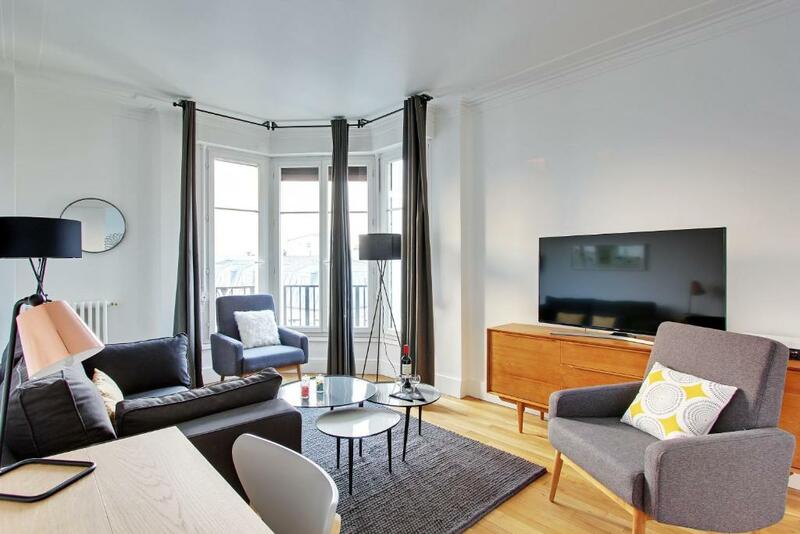 Lock in a great price for Pick a Flat - Residence Saint Michel / Sommerard – rated 8.5 by recent guests! One of our best sellers in Paris! Set within 1,650 feet of Noter Dame Cathedral in Paris, Pick a Flat - Residence Saint Michel / Sommerard features accommodations with free WiFi, a flat-screen TV and a kitchen. 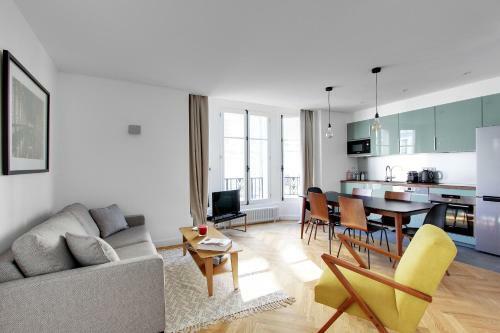 Pompidou Center is 1.4 mi from Pick a Flat-Residence Saint Michel, while Louver Museum is a 21-minute walk from the property. Paris - Orly Airport is 9.9 mi away. 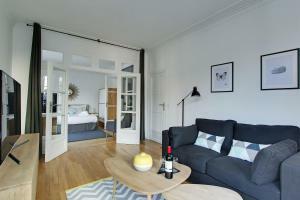 When would you like to stay at Pick a Flat - Residence Saint Michel / Sommerard? 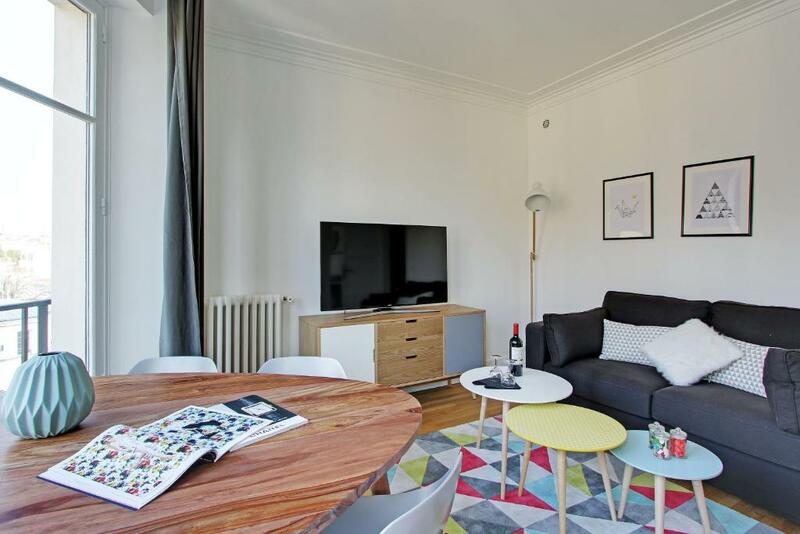 This apartment has a sofa, dishwasher and washing machine. This apartment features a electric kettle, sofa and dishwasher. Area Info – This neighborhood is a great choice for travelers interested in food, history and art – Check location Excellent location – show map Guests loved walking around the neighborhood! 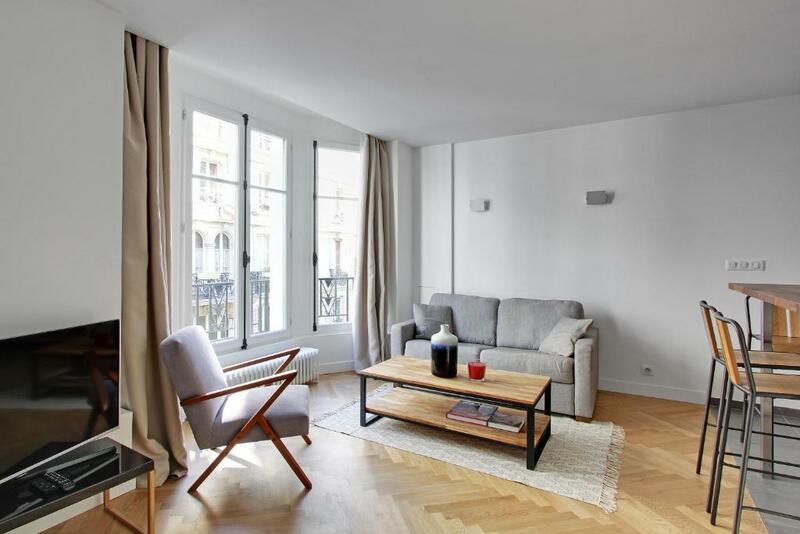 House Rules Pick a Flat - Residence Saint Michel / Sommerard takes special requests – add in the next step! 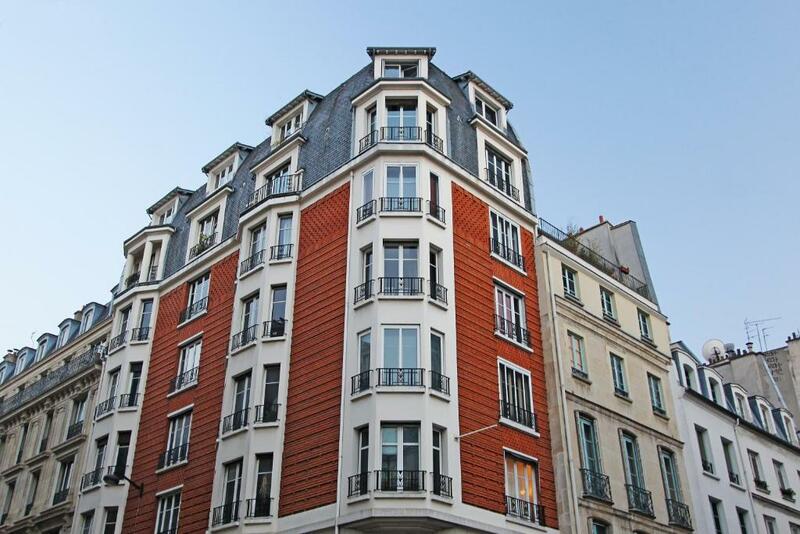 Pick a Flat - Residence Saint Michel &#47; Sommerard accepts these cards and reserves the right to temporarily hold an amount prior to arrival. 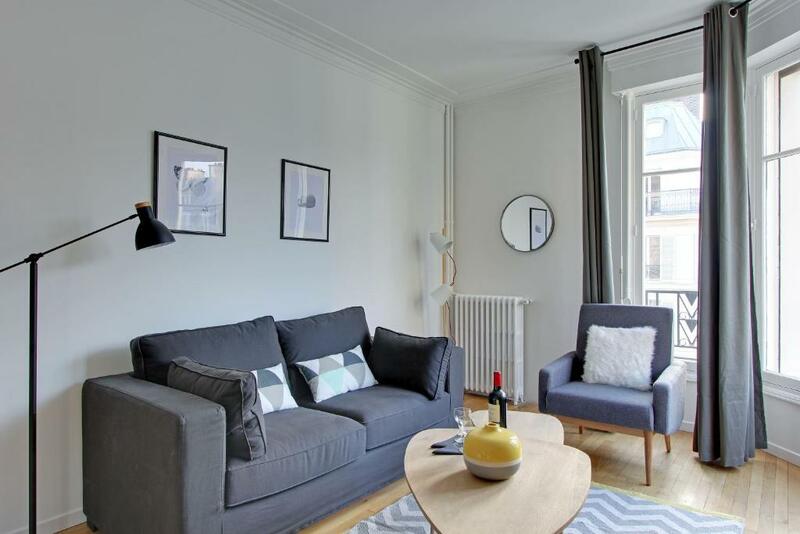 Pick a Flat - Residence Saint Michel / Sommerard accepts these cards and reserves the right to temporarily hold an amount prior to arrival. Check-in is also possible at the apartment. Please inform Pick a Flat - Residence Saint Michel / Sommerard of your expected arrival time in advance. You can use the Special Requests box when booking, or contact the property directly using the contact details in your confirmation. There was a misunderstanding regarding key handover. First confirmation said that we have to grab the keys at the property manager’s office, some 2km away from the apartment, then we received a message via booking.com app that there is a key box at the appartment where they will leave the keys. We unfortunately read this message too late. Baby cot was not provided first, although we clearly requested it at booking. We called the office and they sent a baby cot with matrasse and bed sheets in 45 minutes, so thanks. Soundproofing among apartments and between bedroom and livingroom non existent. Was charged $500 for a damage deposit which is not returned until 24 hours check out. Thought this was a holding deposit but it’s huge withdrawal I was not expecting. I am looking forward to getting it back. Unless you choose the pickup from the airport, checking in can be a little challenging because it’s in another part of the city. Furniture is not new, apt is not very clean. The reception is 2 kilometers far from an apartment. The reception desk tried to get the deposit from my credit card twice - spent some time to visit the office to clarify. Excellent location! Spacious and light coloured apartment. The grocery is really near. The sofa could use a good cleaning - some spots on the seat cushion were highly visible and put a blemish on this outstanding property. Loved everything! Comfy sofabed a real bonus! The collection of keys was not clear and differed depending on who you emailed. The washing machine was out of order and no attempt to have it fixed while we were or advised! At no time was a booking fee advised or authorised by the customer. The fee was more than the full payment paid. Very Disappointing on the lack of communication and the inconsistent information given. The property was nice vut the management poor. We didn’t know the little side table extended into an actual dining table until near the end of our stay. Spacious, contemporary furnishings, fantastic location, enough room for us all to have some space, well-equipped kitchen. Lovely view of the Eiffel Tower and rue de Saint Jacques. Close to supermarket and Latin Quarter action and dining options. A treat to end our European Christmas. This is a lovely apartment in a very good location. However, it should be noted that the flat is quite small, particularly the bathroom. The facilities and service offered are impeccable but it is a bit of a squeeze for more than a couple. Fantastic location and extremely good service. The views of the Paris skyline were a terrific bonus. Centrally located and perfect view on the 7 th floor. Thought it odd that my husbands passport was photographed by our driver...is that normal? We arrived in Lyon and passports were not needed.....would appreciate a reply about that please. Furniture was a bit shabby, but quite functional. Location and view were great. Size was good and bed comfy. Access was easy and notre dame view amazing. Broken closet door, both broken glass, and would not open; It was reported at check in and not fixed. Instruction on use of dishwasher and washing machine would be helpful. Some lights did not work.